Not usually the first thing you think of when starting a company, but where you want to end up impacts everything you do. I sit on the board of ChatThreads, where we are in the process of raising an equity round to fund the growth of the company. Early in the process, an investor asked what the company could do to accelerate and maximize our exit. I replied my standard response: “ We intend to build a great business. By building a great business, we create a great exit.” While my answer was accurate and sincere, I owe the investor a more nuanced answer. We have discussed many of these scenarios with investors and with each other. I am also sure we could think of many other ways to grow the business. The reality is that is that without planning your exit, at least where you want your company to be in five years, there is no way to make good decisions about any business scenario. What features do we develop – great data visualization tools OR great automatic interpretation tools. Better automation means better margins, better visualization tools means happier customers, and higher market penetration. If you are more likely to be acquired by a software (analytics) company, then it might pay a higher multiple for a more sophisticated analysis tools, whereas a financial buyer is likely to pay a higher multiple for a more profit. What is our pricing strategy? Do we want to show the best possible margins or do we want to run a profitable business and bring in more value-based customers. From an exit scenario perspective, this question revolves around what interests potential buyers. Great profitability, access to additional customers, top line revenue? Will we continue to sell the product directly to the brands or will we partner up with other service providers to sell through their network? Are advertising companies or other media research companies good partners for us? Having direct relationship with the brands makes us a very attractive acquisition for a growing company with limited access to the big brands. A large advertising company with established relationships to the brands would not value our sales channel as highly. How is ChatThreads marketing the company? Are we a media modeling company, consumer insights company, or an analytics company? Are we driving sales through Internet marketing or social media? (of course we are doing all of the above) How we promote the company over the coming months will for sure influence different potential acquirers. So with a wealth of options, how is ChatThreads thinking about building the business? We are focused on delighting and owning all the top CPG companies. We are driving development, sales and budgets to support this direction. We came to this decision based on how we can maximize our value to potential acquirers. Ultimately, we will make ChatThreads an indispensible tool to all of the top CPG brands. How are you building your business for exit? Brad Harkavy is the President of Harkador Partners in Cambridge. You can find this post, as well as additional content on his blog called Harkaview. You can also follow Brad (@Harkador) on Twitter by clicking here. The Youth Enterprise with Innovation in Nigeria (You WiN!) Programme is a collaboration of the Ministry of Finance, the Ministry of Communication Technology (CT), and the Ministry of Youth Development that will launch an annual Business Plan Competition (BPC) for aspiring young entrepreneurs in Nigeria, in line with the Federal Government’s drive to create more jobs for Nigerians. The programme will be implemented in partnership with Nigeria’s private sector, who will be requested to provide funding support. 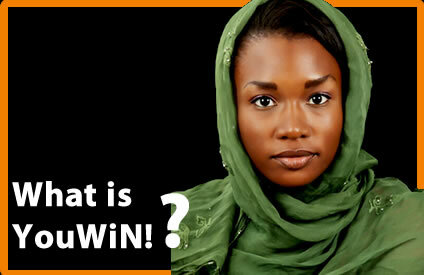 The main objective of the Youth Enterprise with Innovation in Nigeria (You WiN!) Programme is to generate jobs by encouraging and supporting aspiring entrepreneurial youth in Nigeria to develop and execute business ideas that will lead to job creation. The programme will provide aspiring youth with a platform to show case their business acumen, skills and aspirations to business leaders, investors and mentors in Nigeria. Enable young entrepreneurs to access a wide business professional network and improve their visibility. YouWiN is an equity contribution to your business. It is therefore NOT A LOAN but a grant. Award recipients will be paid according to the needs of the business and specific mile-stones stated in the business plan. Award recipients must be registered before disbursment of funds even though they do not need registeration to apply. You/wiN will support the registeration process. Award recipients will opperate accounts using their registered companies, with any of the participating commercial banks prior to disbursment. Award recipients must sign a grant agreement with the managers of YouWin before disbursment of funds. Enterprise Development Centre of the Pan-African University are currently working with Goldman Sachs on an initiative – 10,000 Women, in a bid to empower our Nigerian Women to be successful in their various businesses. This initiative is the Goldman Sachs Enterprise & Leadership Scholarship for women only. The Goldman Sachs 10,000 Women Initiative provides scholarships for under deserved women to attend Enterprise Development Centre (EDC) Certificate in Entrepreneurial Management Programme. We are actively seeking women who qualify for the scholarship to apply before our deadline Friday, 23rd Of September. Please Find more details below. Every year scholarships are being awarded to women entrepreneurs and this includes a Certificate in Entrepreneurial Management (CEM) and follow up services such as business advisory, consulting clinics, networking and mentoring. Shortlisted applicants will receive an invitation for an interview by middle of October 2011 which will hold in Abuja.